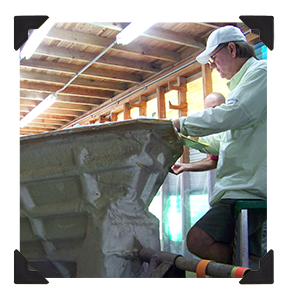 A handful of craftsmen in a small shop, taking the time and care to daily craft legendary, uniquely timeless custom boats, one-at-a-time, for the most discerning owners. Welcome to our world. 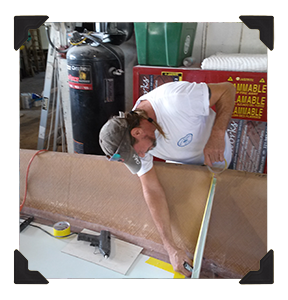 We craft our boats in a 100% infused, Divinycell foam cored, Kevlar (carbon fiber available), vinylester resin composite construction. 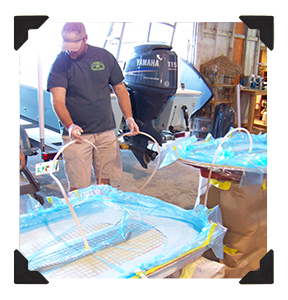 This infusion process – not to be confused with simply “vacuum bagging” — results in increased strength, reduced weight, and a completely bonded, one-piece part free of voids and other structural defects. 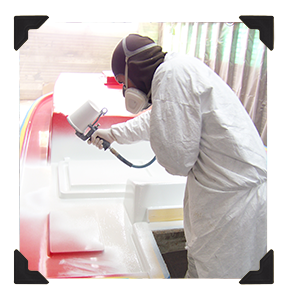 We then add to this cutting-edge technology by mechanically and chemically bonding our top deck, hull, and console. 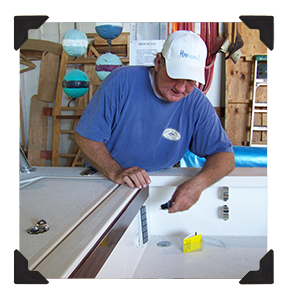 Add the finest hardware and components and mount them in such a way that access for all maintenance is readily available for every system and element. 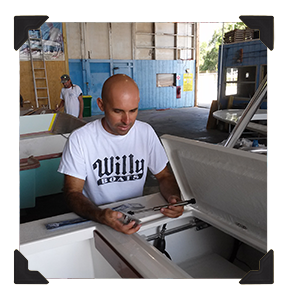 Follow up with attention to detail…building your boat to your very own individual, discriminating preferences – meeting each and every one of your own specific requirements – and the result is an incomparable product. 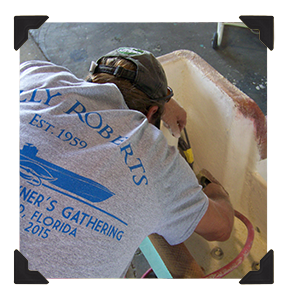 Beautiful, strong, light, shallow, classic, retained worth, uncompromising…all words our owners have used to describe the Willy Roberts ownership experience. Beautiful designs, beautiful boats. In our hearts, we agree.